Good cabinet for Mini Rectifier other than Mini Rect 1x12 slant cab? Discussion in 'Amps and Cabs' started by still.ill, Apr 15, 2016. The mesa cab is gold and will last you a lifetime. It really is musical and plays well with other amps. If you record, you will really appreciate the depth of it. Advising from a engineering perspective, do not cut corners on a cab. Geeze and Phletch like this. Yes, there are. 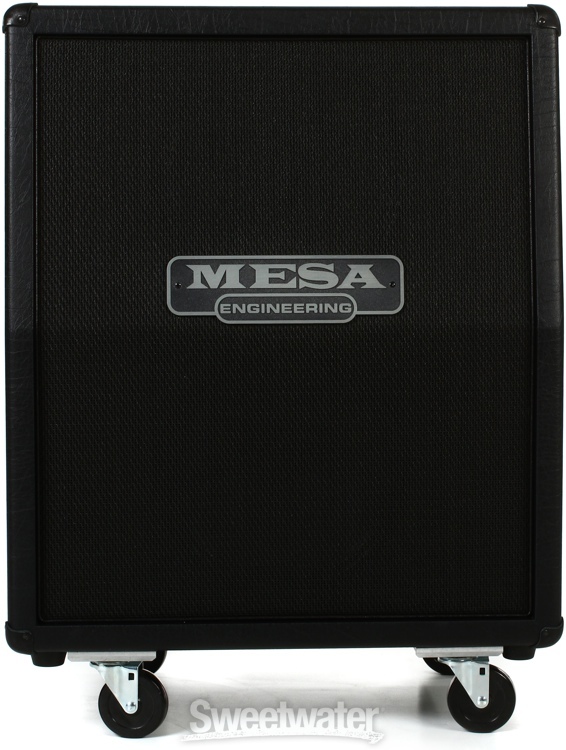 A wide-body, open-back Mesa 1x12 would be better. An Avatar 2x12 would be great. Both can be had used for less than $450. Both sound better. Yes, there are cheaper ones, but I don't think that there's a better 1x12 out there for the Mini Rec. The amp was voiced with that speaker, and the combination of the Mesa V30 and closed back cab design brings out the best in that amp; it keeps things tight and focused, and brings out a beautiful mid-range presence which just shines in a band/live environment. I've been gigging and recording with a Mini Rec and that slant 1x12 cab for over 3 years now, and the only thing I think sounds better in a live situation is the Mesa 2x12. I've used a few other 1x12s with V30s and some other speakers, and I really can't recommend any other 1x12 over the Mesa Mini cab, slant or straight. In your opinion, right? I've tried my Mini Rec with the wide-body 1x12 Mesa open back and thought it sounded like sh!t. I'm of the camp that believes that amp sounds best with a closed cab. DreamTheaterRules, Geeze and lowpaygigs like this. The wide-body closed back cab sounds pretty darned good with the Mini, but it comes with a C90. I landed a mint used 2x12 recto cab for $350 that was killer with the one I had. Yes, my opinion. All we do is share opinions here. IMO, that lil closed-back 1x12 doesn't do the mini rec any favors. I hate the sound of that little cab. I'd never have bought the mini if I had to play it through that cab. The rectoverb open-back combo sounds much better, and that's the one I went with. Plugging into a 2x12 or 4x12 sounds even better. I've always been a fan of open-backed cabinets more than closed-back. However, I've never tried a Thiele cab. I've heard nothing but great things about those, and I think even new they're cheaper than the Mini Rec cab.